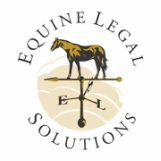 At Equine Legal Solutions, many of our legal consultations are with unhappy horse buyers. One of the first questions we ask is, “Did you get a pre-purchase vet exam?” Often, the answer is “no.” The buyer regretfully explains they thought it would be “too expensive” to get a PPE, or they “really trusted” the seller. But now, they now own a horse they never would have bought if they knew what its true physical condition was. Frequently, the horse has a chronic lameness issue or other physical condition that will make it nearly impossible to resell (or even give away), creating a frustrating and expensive situation for the buyer. In hindsight, the buyer would have happily spent $1,000 or more on a pre-purchase exam and avoided the considerably higher expense of diagnosing and treating the horse’s problems. Often, horse buyers use the seller’s vet to perform a pre-purchase exam, particularly in situations where the horse is located in another city, state or even country. This situation presents a conflict of interest for the vet, to the point where some equine veterinarians have a strict policy of not performing pre-purchase exams on clients’ horses. Vets willing to perform a pre-purchase exam on a client’s horse may be very forthcoming with the potential horse buyer, disclosing they have a business relationship with the seller, and getting the seller’s consent to disclose all records and information to the buyer. Others might be more ethically challenged in the face of a one-time transaction with a stranger vs. a long-term client relationship. Why take a chance? Rather than use the seller’s vet, horse buyers should ask their trusted local vet to recommend another vet in the seller’s area. And if the buyer’s local vet doesn’t have a recommendation, the buyer can contact the American Association of Equine Practitioners to obtain a list of equine veterinarians in the seller’s area. If at all possible, the buyer should attend the pre-purchase vet exam in person, along with the buyer’s trainer (if they have one). By attending in person, the buyer can see and hear all parts of the exam firsthand, and the veterinarian and buyer can have a real-time dialogue about the vet’s findings. The buyer can also make an informed decision about whether to proceed with any radiographs or other diagnostic imaging that the vet might recommend. Also, there are nuances that may be vitally important to the buyer, but would not appear in the written pre-purchase exam report. For example, when the pre-purchase vet asks the seller if the horse has received any medication, the seller might respond “no,” but do so in a tone of voice or manner that indicates potential dishonesty. If the buyer is right there to hear it, the buyer might opt for a drug screen, or even decide not to purchase the horse. But if the buyer does not attend the exam, all the data they will have is that the seller stated the horse was not on medication. Based upon what the pre-purchase vet observes during the exam, he or she may recommend taking x-rays, performing ultrasound or otherwise expanding the scope of the exam. Typically, the pre-purchase vet makes such recommendations because they see something of potential concern, and need more information to determine if there is an issue. So if the buyer elects not to follow the pre-purchase vet’s recommendations, the buyer takes a significant risk of buying a potentially expensive problem. More often than not, horse buyers neglect to ask the seller to release the horse’s veterinary records. This is a critical mistake. Many vet clinics do not charge to email out records, and even if they do, it’s generally a very small investment. The horse’s vet records may contain information that is a deal-breaker for the buyer, such as a previous colic surgery or suspensory injury. Having that information can allow the buyer to make a decision without incurring the expense of a pre-purchase exam. And if the buyer decides to proceed, providing the horse’s records to the pre-purchase vet allows him or her to focus the exam on potential problems. Although pre-purchase veterinary exams are not “pass/fail”, many pre-purchase vets will advise the buyer about the horse’s physical suitability for their intended use based on what the vet observes during the exam. Sometimes, the advice is not what the buyer wants to hear, as they already have their heart set on buying the horse. But the pre-purchase vet’s job is to provide the buyer with data so the buyer can make a rational purchase decision. The smart horse buyer pays for objective professional advice, and then listens to it. Frequently, horse buyers make their purchase decision without waiting for the written pre-purchase exam report or the results of drug screening or other lab tests. Instead, they talk to the pre-purchase vet on the phone (or their trainer does) and hear only the positive findings, mentally discounting any negative data the vet might relay. Excited and happy, the buyer moves ahead with the purchase and brings the horse home. Two weeks later, the horse is lame, and the buyer finally gets around to reading the pre-purchase exam report, which notes the horse was 2/5 lame in both front limbs on the day of the exam, and the drug screen came back positive for two different anti-inflammatory drugs. Now, the buyer is faced with trying to convince the seller to rescind the purchase, and the seller may very well refuse to do so, noting that the buyer had a thorough pre-purchase vet exam.